In 2016, Wrocław will be the European Capital of Culture. The huge potential of this millennial Polish city, located at a crossroads of trade routes, can be seen in its economy, education, science and culture. Cultural institutions, universities and art academies, experimental theatre performances in the Jerzy Grotowski’s Laboratory Theatre, famous throughout Europe, or in the Henryk Tomaszewski’s Pantomime Theatre, concerts, great music, theatre festivals and science festivals – these have become a permanent element of the artistic landscape of Wrocław and the whole Lower Silesia area. The diversity and originality of these artistic events prove the huge creative potential of this “city of one hundred bridges”. Thanks to the effort of many generations of Poles, the historic capital of Silesia recovered from post-war decay and today it charms its visitors with dynamic, colourful and beautiful architecture, as well as a unique, intriguing and creative atmosphere. Currently in Wrocław, there are many traditions and cultures living in harmony with each other. The choral art, whose history dates back to the exquisite tradition of the nineteenth century, is also pulsing with its pronounced rhythm. Back then, there were numerous active choral associations, Singakademie, appointed in 1825, as well as evangelical and Catholic Church choirs, Liedertafel choirs, used to create an image of a town that pulsed, almost “breathing” music. Performances of the greatest European oratorical pieces were prepared and presented regularly and with gusto – usually using the choir’s own resources. After World War II, in the changed geopolitical conditions, the choral art was still an unusually important culture-making instrument. It is worth mentioning that, already in July 1945, the first church ensembles had been formed on the rubble of the city. They were based on pre-war Lvov’s great experience of academic choral art, which came to Wrocław together with the legendary professors of the local School of Technology. Academic, professional, sectorial, church, children’s and youth choirs were formed. The superb conductor and Polish pioneer of the post-war performance of early music, Edmund Kajdasz, managed the choirs he established in Wrocław for forty years. In Wrocław, in 2001, the All-Polish Development Programme of School Choirs Singing Poland was launched. Currently, more than a dozen academic choirs operate here, competing successfully in almost all Polish and European competitions. 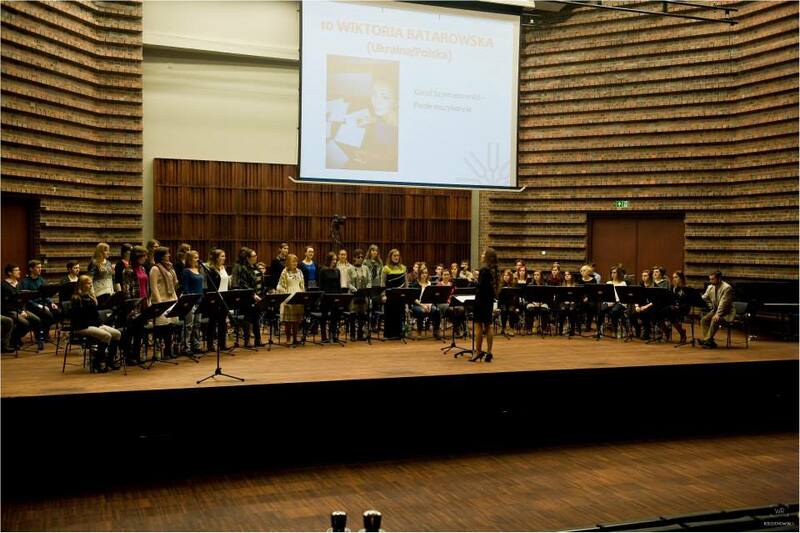 In addition, the Polish National Youth Choir, gathering young singers from the whole country, has its headquarters in Wrocław. Due to the initiative and creativity of many conductors, it is possible to listen to the chamber repertoire, early music, as well as great oratories, to which all the city’s singers are invited, at numerous concerts and festivals. One of the sources of such a strong interest in the choral art in Wrocław is the fact that the conductors of the majority of Wrocław’s choirs are graduates of the Karol Lipiński Academy of Music in Wrocław, Faculty of Music Education, Choral Art and Church Music, which has been educating teachers, instructors and conductors continuously for sixty-five years. 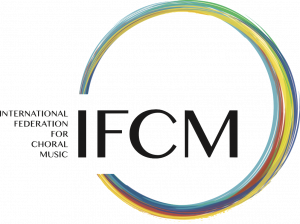 In 1991, the initiative of International Competition of Choral Conducting TOWARDS POLYPHONY was established in that Faculty. This is a unique polyphony of cultures: ideas regarding interpretation and sound, timbre, conducting technique, choral pieces performed in their original languages, and above all a ‘polyvocal’ meeting of young people from five countries and trainee conductors carrying the flickering glow of friendship and cooperation to their ensembles. “This is the idea behind our Competition, a meeting, a Europe without barriers or borders,” wrote professor Zofia Urbanyi-Krasnodębska, the founder of the competition, teacher at the Faculty and perennial head of its jury, almost twenty years ago. When teaching at the Wrocław Academy of Music, she was constantly looking for new, unconventional teaching methods for future choirmasters, founding new concert cycles and promoting the most talented musicians. Then, encouraged by her success, she established a new and ambitious choir-conducting competition, the Student’s Musical Bridge East-West, based on the musical map of Central Europe. The tournament aimed at breaking down the then strong political barriers and drawing on the rich traditional repertoire, while at the same time looking to the future, to teach and educate the next generations of the most talented conductors and instructors, and indirectly many choristers, in noble competition. The recent sixth edition of the Competition took place on 10-13 December 2014, with the honorary patronage of the Ministry of Culture and National Heritage, the Marshal of the Lower Silesia Voivodeship, the President of the City of Wrocław, the Rector of The Karol Lipiński Academy of Music (KLAM) in Wrocław, and the Honorary Consul of Italy in Wrocław. It was organised, as always, by the Faculty of Music Education, Choral Art and Church Music and the Department of Choir and Ensemble Conducting of the Karol Lipiński Academy of Music. It should be emphasised that it is the only event of this rank in Poland that gathers young choral conducting students from throughout Europe. Representatives from Latvia and Ukraine (three competitors each), Russia (two competitors), Belarus, Israel and Slovenia (one competitor each) constituted a traditionally numerous group. Poland was represented by five competitors. 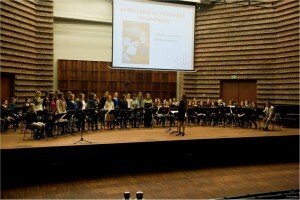 After an initial classification of recordings (September 2014), sixteen conductors qualified to participate in the Tournament. In three stages, they encountered a varied repertoire. They started with pieces by Karol Szymanowski (Kurpie Songs performed by the Academic Choir Feichtinum of the KLAM, twenty minutes of work), which posed a great challenge, particularly for foreign performers. The specifically Polish melodic and harmonic world of these relatively short pieces may be compared, for their difficulties in interpretation, with mazurkas by Frederic Chopin, which pose an exquisite challenge for all piano players, although their structure is seemingly simple. While honouring the above-mentioned difficulties, professor Krasnodębska founded the Special Award for the best work on a piece by Karol Szymanowski. It was granted to Viacheslav Larin (Minsk, Belarus). Only eight conductors participated in the second stage, where they worked on madrigals by Claudio Monteverdi and motets by Heinrich Schütz (Cantus Animae Vocal Ensemble). In this stage, slightly easier for candidates (forty-minute rehearsal time), a very clear diversity of conducting personalities was revealed. They were assessed on their selected method of work, its effectiveness, the conductor’s skills in developing an ensemble’s sound, the selection of the most relevant articulation, the approach to the textual layer, followed by an assessment of their manual method and of their level of interpretation credibility – all these factors comprised the competition jury’s final score. The jury also had an opportunity to choose the best performer – the special award for the best performance of a piece by Claudio Monteverdi was awarded to Dawid Jarząb (Wrocław, Poland). The third and last stage (sixty minutes of work) included the interpretation of Polish and European contemporary music – its programme contained pieces by Krzysztof Penderecki, Arvo Pärt, Ana Gnjatović and Paweł Łukaszewski, as well as two pieces by Wrocław citizens – Agata Zubel and Rafał Augustyn – performed by the National Music Forum Choir. It was a difficult repertoire, requiring real technical competence and a mature approach to the musical material. The five finalists were Jurgis Čabulis (Latvia), Dawid Jarząb (Poland), Viacheslav Larin (Belarus), Beata Śnieg (Poland), and Yuval Weinberg (Israel). They each had different personalities and came from different conducting schools, with different ways of communicating with an ensemble, more and less relevant interpretations. The jurors’ final verdict corresponded with the overall winner, and apart from purely technical competence also took into consideration (as is usual when dealing with artists) that “something” extra, a non-verbal skill of winning over an ensemble, sharing with it and with the listener one’s own passion and artistic fascinations. And so the first prize, the Award of Members of the Department of Choir and Ensemble Conducting of the KLAM, as well as the Competition Choirs Award, went to Yuval Weinberg, born in Israel and a graduate of the Hochschule für Musik in Berlin, who is currently studying in Norway. The second prize was awarded to Viacheslav Larin, student at the Belarus State Academy of Music in Minsk, while third place went to Dawid Jarząb, a graduate of the Faculty of Music Education and a student of symphonic conducting at the Karol Lipiński Academy of Music in Wrocław. A representative of the J. Vitols Latvian Academy of Music in Riga gained the distinction and the special award in the form of a concert project, while the Special Award of the Honorary Consul of Italy in Wrocław went to a representative of the S. Moniuszko Academy of Music in Gdańsk, Beata Śnieg. The competition jury included superb experts and experienced conductors representing various European centres: prof. Inessa Bodyako (Belarus State Academy of Music, Belarus), prof. Jasenka Ostojič (Music Academy in Zagreb, Croatia), prof. Andrea Angelini (Rimini, Italy) and prof. Stanisław Krawczyński (Academy of Music in Kraków, Poland). The author of this text was chairing the jury as well as being the competition manager. The three stages of the competition rehearsals and a concert of laureates took place in the new concert hall of the Wrocław Academy of Music, with its excellent acoustics. It was a great pleasure for us, the organisers, to observe that ensembles, conductors and listeners took much satisfaction from the competition and final performance. The great involvement of the students of the Wrocław Academy was also most enjoyable. Without them, such a large competition would be impossible. Because beauty is to delight to work. Work – to resurrect. Let this delight and this work accompany each of us, providing us with satisfaction and true joy. In the tenth century, a duke’s borough had been established there, annexed together with Silesia to Poland before 990. The bishopric was mentioned for the first time in the year 1000. J. Harasimowicz (red. ), Encyklopedia Wrocławia [Encyclopaedia of Wrocław], Wrocław 2006, p. 284. The famous experimental Jerzy Grotowski’s Laboratory Theatre operated in Wrocław in 1965-1982. See: www.grotowski-institute.art.pl. The Henryk Tomaszewski Wrocław Pantomime Theatre has been operating here since 1956. See: www.pantomima.wroc.pl. Wrocław is also the city hosting one of the most important festivals of oratorio music in Europe – the Wratislavia Cantans International Festival, established in 1966 by Andrzej Markowski. Every year it hosts the most exquisite groups, conductors and singers. See: http://wratislaviacantans.pl. Some districts of Wrocław were almost completely destroyed. J. Harasimowicz (ed. ), op.cit., p. 1028-29. Edmund Kajdasz (1924-2009), conductor of the Polish Radio and Television Choir in Wrocław, the Polish Radio Children’s Choir Wrocław Radio Larks, the Academic Choir and the Cantilena Choir, founder of the Cantores Minores Wratislavienses Choir. He recorded more than four thousand choral pieces for the Polish radio sound library and fifty records of early music. J. Harasimowicz (ed. ), op. cit., p. 331. Cit. per: Programme of the fifth International Competition of Choral Conducting TOWARDS POLYPHONY, Wrocław 2011, p. 8. C.K. Norwid, Promethidion, Dialog 1, Bogumił.